This is our classic C1V – V Back Diner Chair. All of our diner chairs are made for commercial restaurant use but are classy enough for any home. 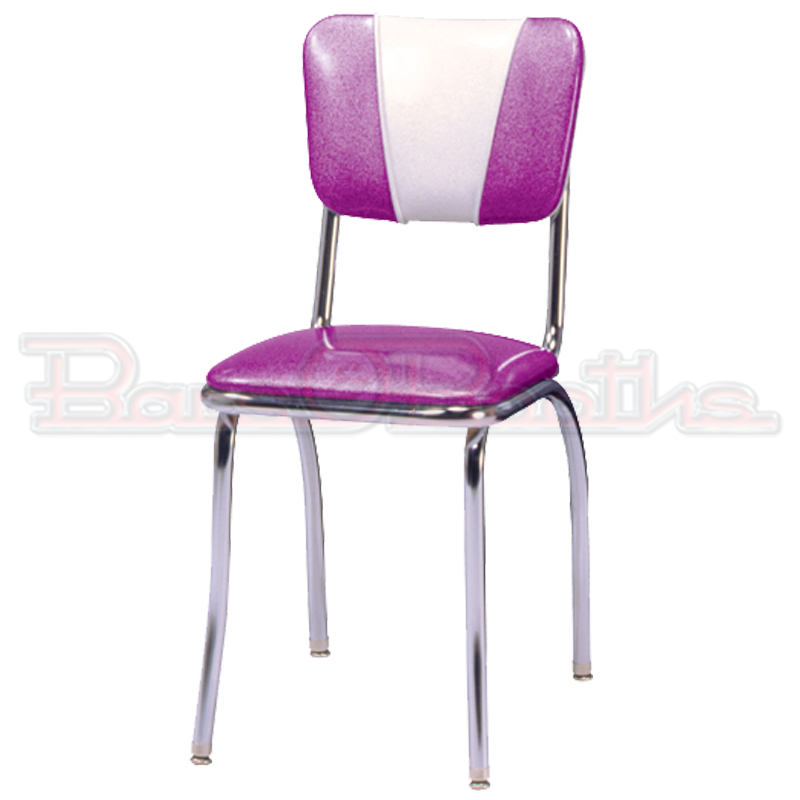 We custom build these chairs using your choice of colors, including the very cool zodiac, sparkle, and cracked ice vinyl’s. Allow 3-4 weeks for production of this model in your choice of upholstery. Call 304-728-0547 for pricing. This is our classic C1V V Back Diner Chair. Same chair that has been used for over a half a century in restaurant and diners. These chairs are commercial quality but classy enough for any kitchen or game room. This model features a contrasting insert “V” on the chair back. For pricing information call at 304-728-0547. Or send us an email and one of our retro specialists will respond right away. Please allow 4-5 weeks for special orders. We also carry some of our most popular models in stock in our warehouse. Give us call to learn more about our in stock merchandise.